Just clik to resize, comment, rotate or stamp your digital photos! Recuva (pronounced “recover") is a freeware Windows utility to restore files that have been accidentally deleted from your computer. This includes files emptied from the Recycle bin as well as images and other files that have been deleted by user error from digital camera memory cards or MP3 players. It will even bring back files that have been deleted by bugs, crashes and viruses! This project is based on the original “Media Player Classic" and was created after Gabest, the original author, stopped working on it. Several new features have been integrated in this player. LAME is an educational tool to be used for learning about MP3 encoding. The goal of the LAME project is to use the open source model to improve the psycho acoustics, noise shaping and speed of MP3. LAME is not for everyone – it is distributed as source code only and requires the ability to use a C compiler. However, many popular ripping and encoding programs include the LAME encoding engine, see: Software which uses LAME. Adobe® Photoshop® Lightroom® 2 offers powerful new and enhanced features across the entire program to help you streamline your digital photography workflow. Sort and find the photos you want faster, target specific photo areas for more precise adjustments, showcase your talent using more flexible printing templates, and more. 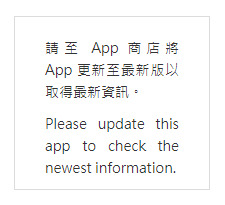 Posted in Adobe 相關, x64 六四位元. Ever been annoyed by all those ads and banners on the internet that often take longer to download than everything else on the page? Install Adblock Plus now and get rid of them.